Mother’s Day is a time to make the whole day about your Mum. 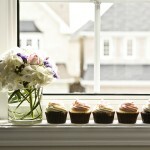 Mothers, stepmothers, grandmothers and mums to be, they all deserve some extra special appreciation. 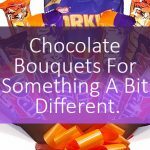 Show her just how special she is to you with a Mothers Day Hamper. Give her a gift she will love. 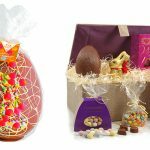 Our selection of Mothers Day hampers have something for every kind of Mum, from chocoholics to pamper princesses. Does your Mum love nothing more than a long soak in the bath? The Vintage Cotton Bath Tub encapsulates timeless beauty, luxury and elegance, just like your Mum! 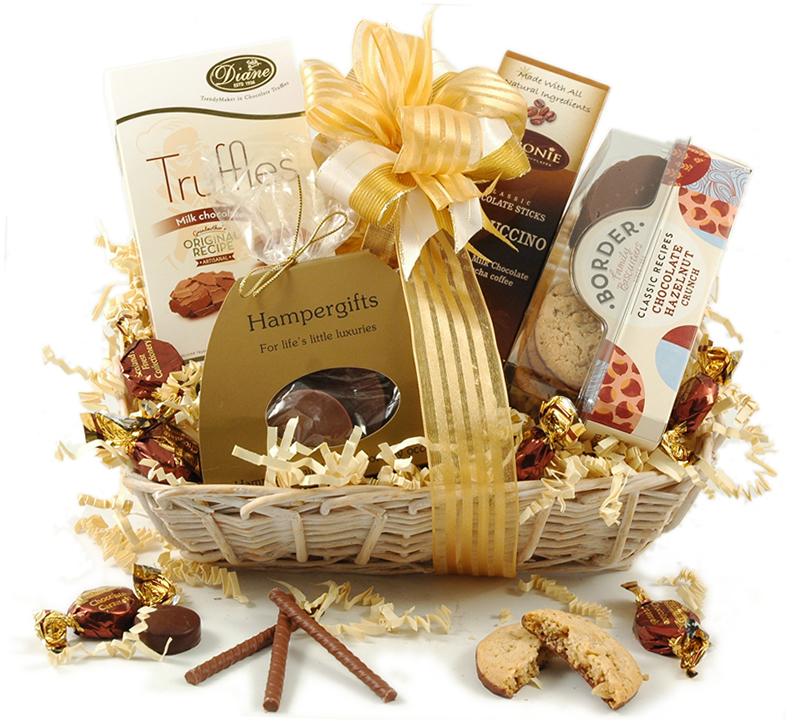 Have this Mother’s Day Hamper delivered to her door to make her feel extra special. 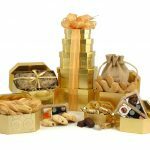 The perfect Mother’s Day hamper for the chocoholic, our Golden Choc Hamper is packed full of chocolatey treats that your Mum will love. 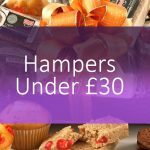 The Sparkling Surprise is a bestselling Mothers Day Hamper of ours. 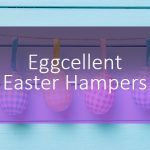 The adorable woven basket is packed full of Mums Day treats to celebrate the day that’s all about her. 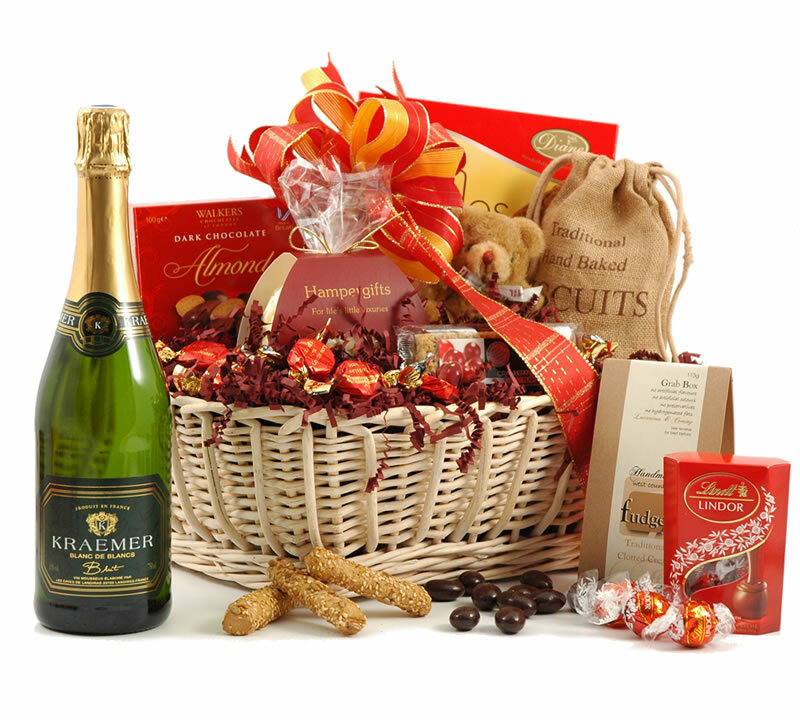 The french sparkling wine is the perfect treat to pair with the wonderful selection of sweet items in the basket. There’s an adorable little teddy bear too, so your Mum can keep a little memory from her special day. Say it all with this adorable Mother’s Day Hamper. 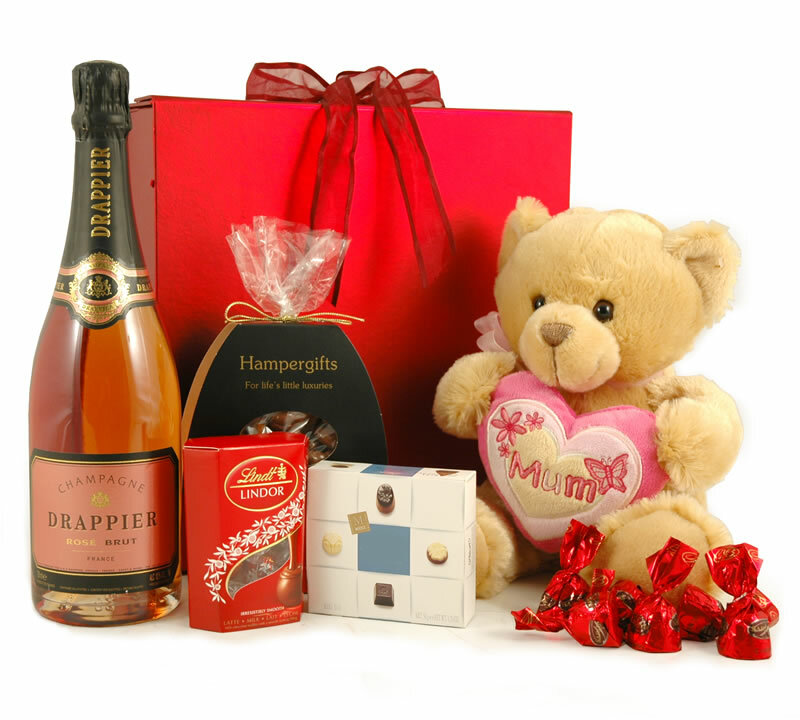 The beautiful red gift box houses a host of treats to really spoil your Mum. 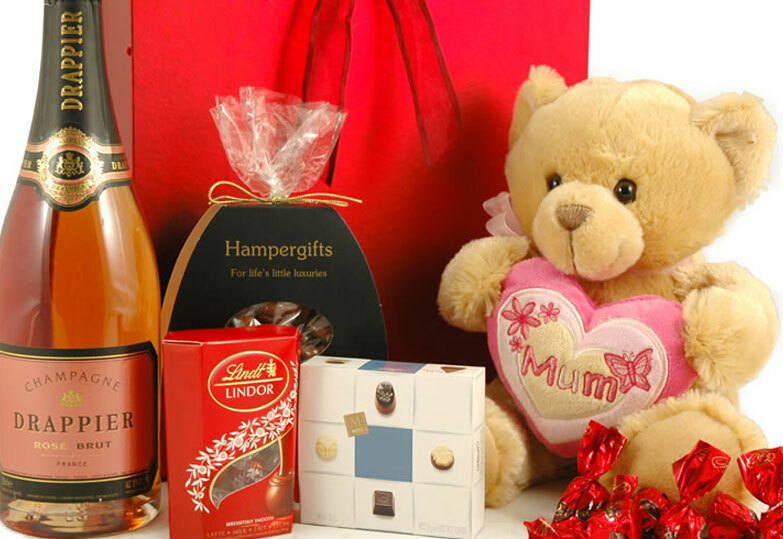 Treat her to rosé Champagne, chocolates, pralines and a cute little teddy bear holding a plush heart.